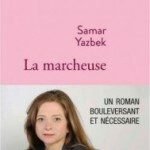 Forlagsliv asks: Did Samar Yazbek write our most important novel? 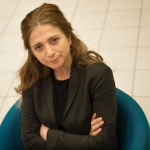 Samar Yazbek’s new novel, The Blue Pen, gives a unique insight into everyday life in civil-war Syria. Yazbek’s new novel is a shocking record of a young girl’s attempt to acknowledge the wicked cruelty of the war. It is an original and moving book that brings the reader close to the inhuman sufferings of the civil war in Syria. The Blue Pen is a strong novel that alternates between documentary and fiction. 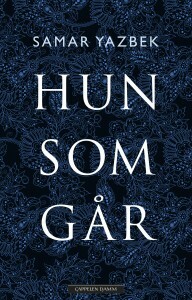 In Dagbladet, Maya Troberg Djuve writes that it is impossible to put the novel down, giving it a dice 5. 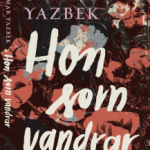 “Yazbek has created an original narrative voice (…) The contrast between the mild and narrower narrative and the terribly harsh reality of the novel is powerful“, writes Djuve in the review. 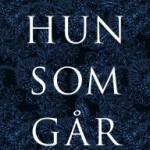 In the novel, we meet Rima, a girl who can not keep her legs quiet. Together with her mother and a brother, she lives in a studio in Damascus. And it is their encounter with the war that is the main theme of the novel.